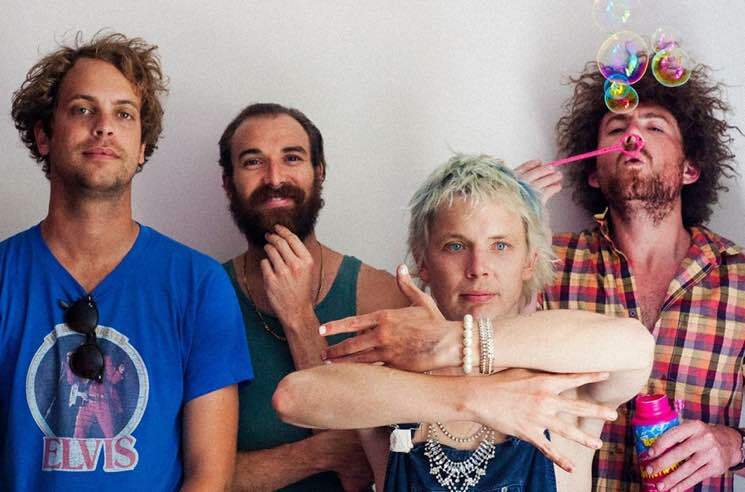 Tame Impala offshoot Pond are delivering a new album called The Weather this spring, and the Aussie psych-rockers have just revealed plans to travel the new tunes across North America. The band will follow up their Coachella appearances with gigs along the U.S. West Coast before hitting Vancouver on April 29 and moving east. They'll make their only other Canadian stop in Toronto on May 5. The full North American jaunt will come to a close on May 12 in Washington, DC. The full list of upcoming shows can be found below. In addition to the extra tour dates, Pond have shared the video for album opener "30,000 Megatons." It's a timely clip that captures a variety of massive crowd gatherings — from concerts to organized protests. Watch it below. As previously reported, The Weather is out on May 5 through Marathon Artists.